This page features an illustration of a lovely Victorian lady looking through a large window onto a street that is busy with pedestrians and horse-drawn carriages. 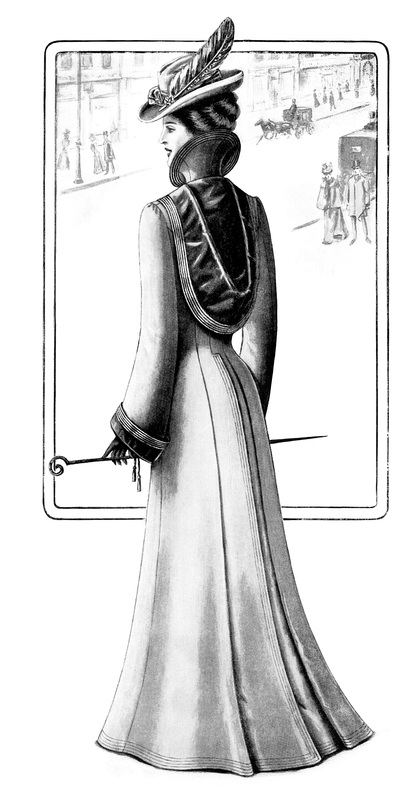 The lady is modelling a full-length ladies’ long coat. She is positioned to show the side back view of the elegant coat, which has a tall, stiff collar and a large hood that falls to the cinched waist. The coat is pleated down the center back, from the waist to the bottom of the slight train that barely sweeps the floor. The lady is wearing a pretty hat with large feather tucked in the side. Here is a black and white version of the illustration from the page. 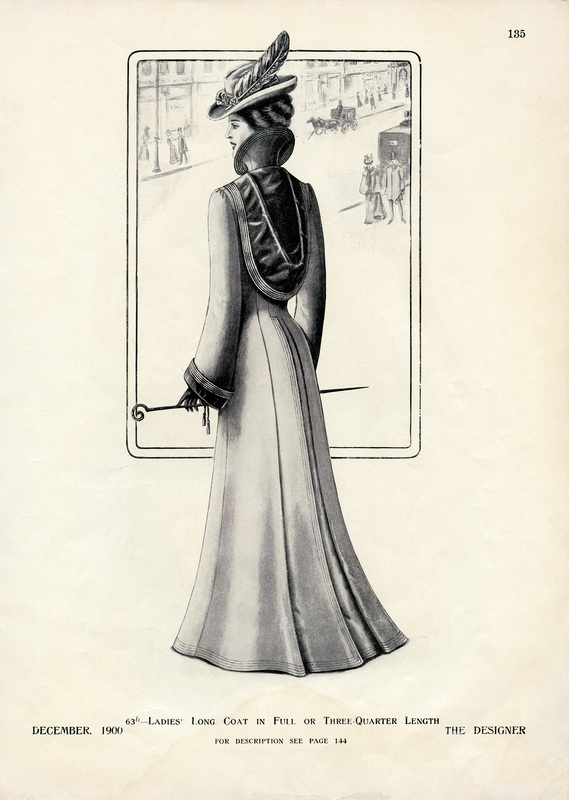 I scanned the original page from the December 1900 issue of The Designer magazine.